Following last week’s “What I Eat In A Day” post, I realized that I eat the same for breakfast and lunch every day. The only thing that changes is what I eat for dinner, so I’ve decided to focus on that this week. I tried five different meals this week, and overall, I’m very pleased. Also, this week was the first week I ate 100% vegan, and I must say that it feels great. It’s only onwards and upwards from here! All these meals were made on a students budget and are easy to make. Let me know if you want detailed recipes for any of these meals, I’m happy to give them out. But to be honest, I make most of these meals up as I go along! 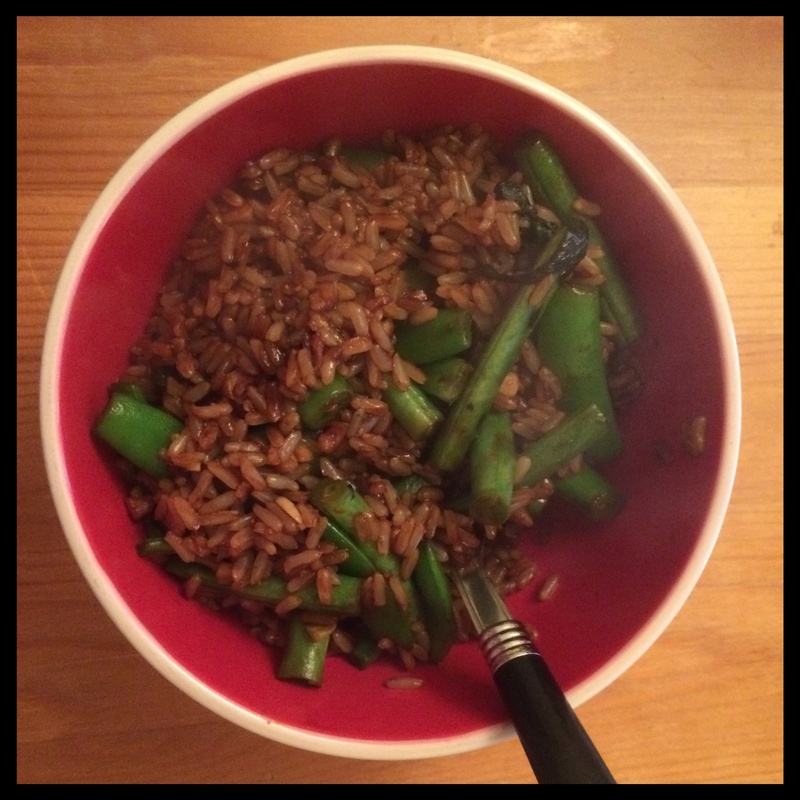 1) Stir-fried beans (green beans and sugar snap peas) with brown rice, basil, and soy sauce. 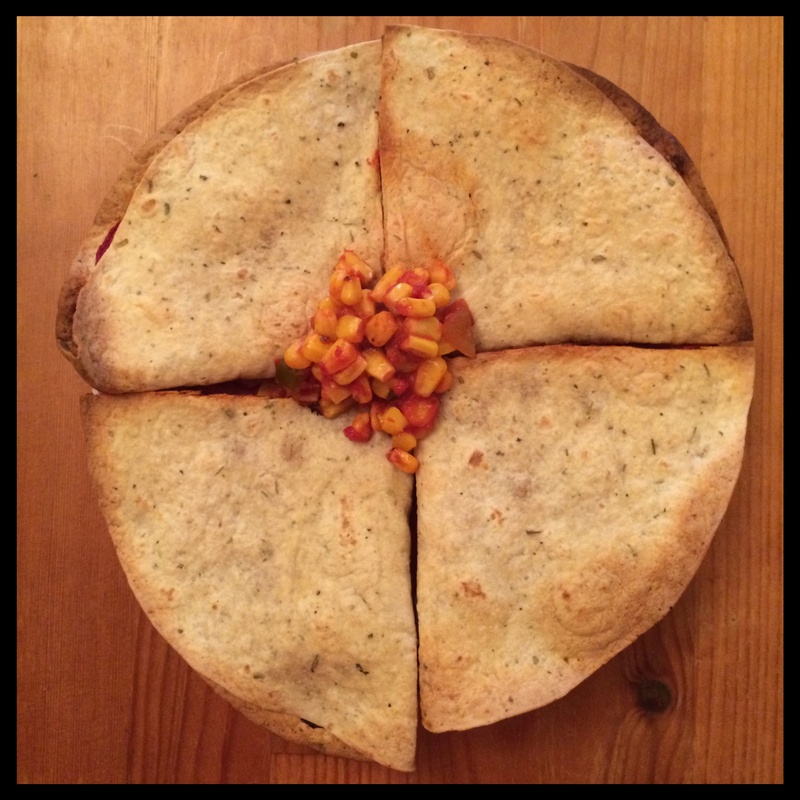 2) “Quesadilla’s” filled with tomato paste, sweetcorn, chili, and salsa. 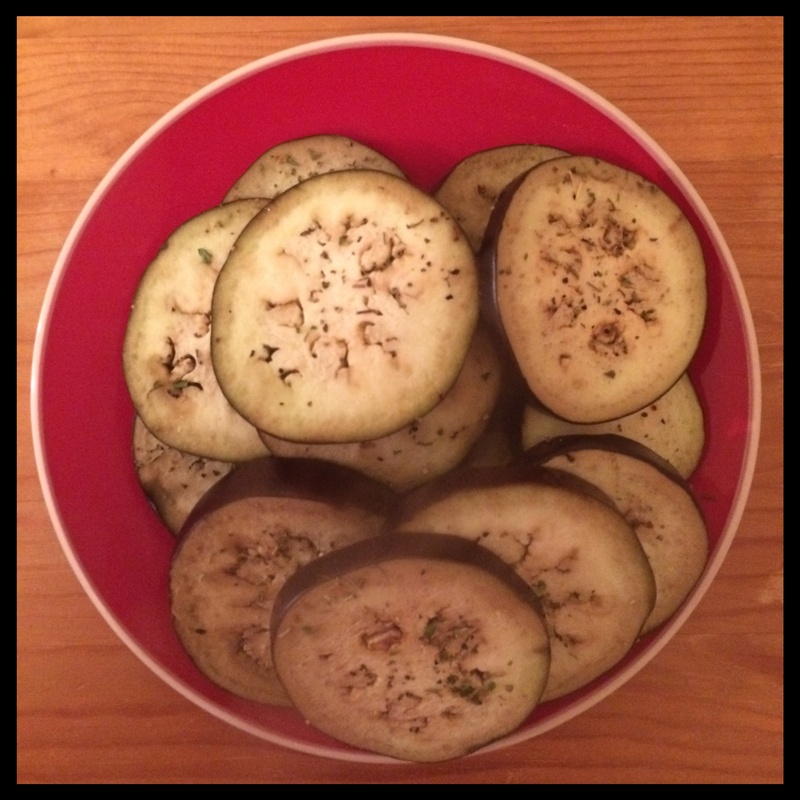 Served with 1 oven baked eggplant. 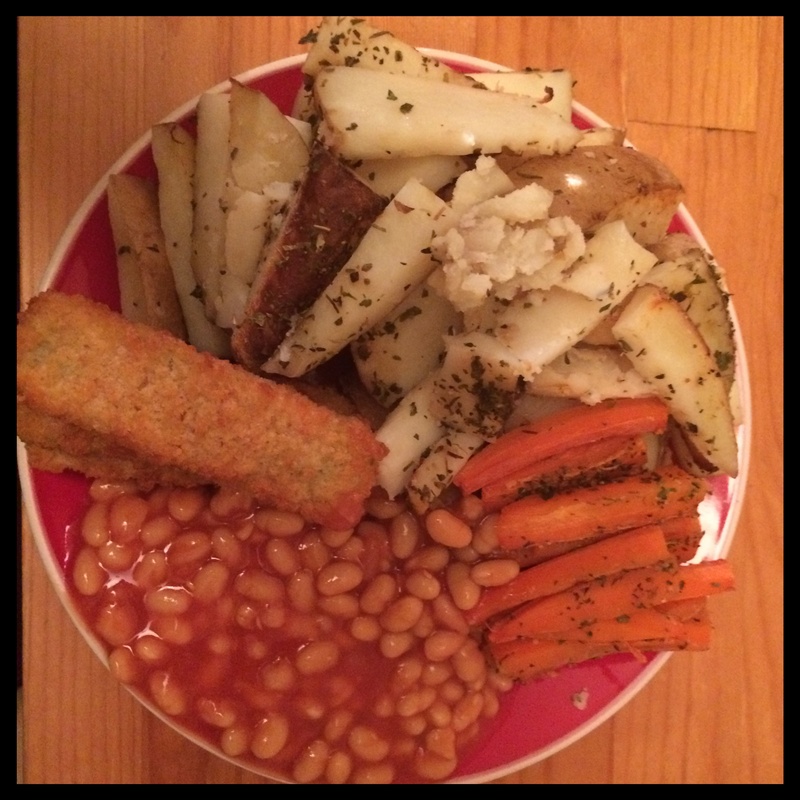 3) Oven baked potatoes and carrots, served with baked beans and vegetable fingers. 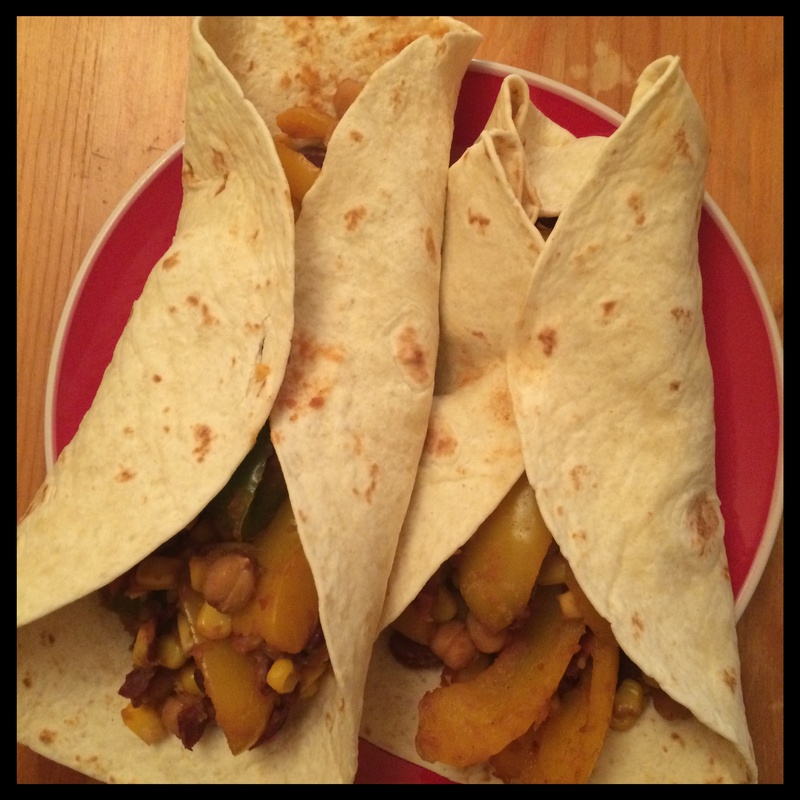 4) Fajita’s (slightly overfilled) stuffed with bell peppers, sweetcorn, chickpeas, kidney beans, and tomatoes mixed with fajita spice mix. 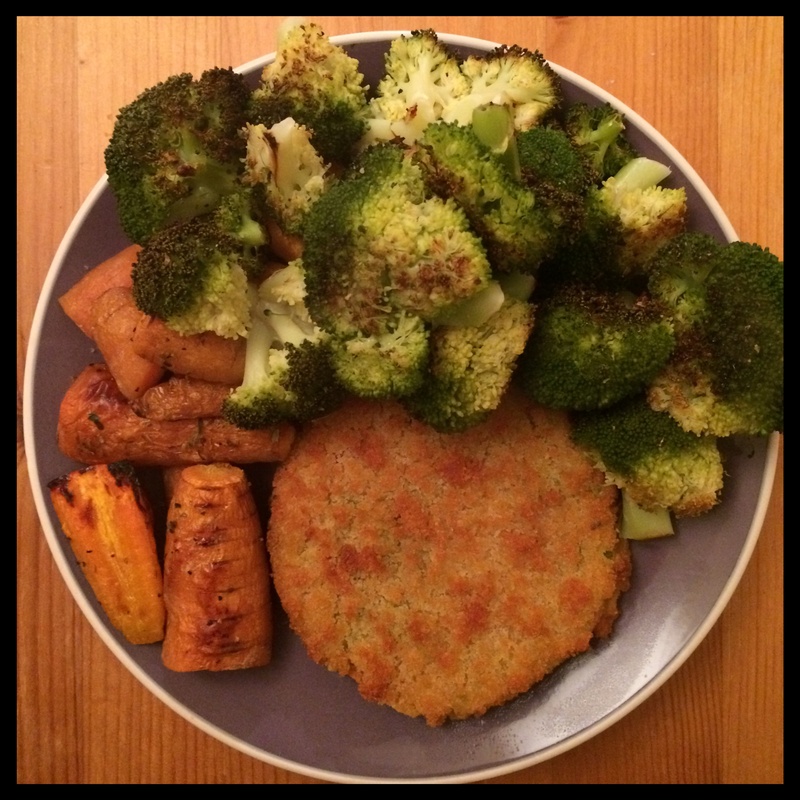 5) Oven roasted broccoli and carrots, served with a vegetable patty. And that’s it, 100% vegan deliciousness!